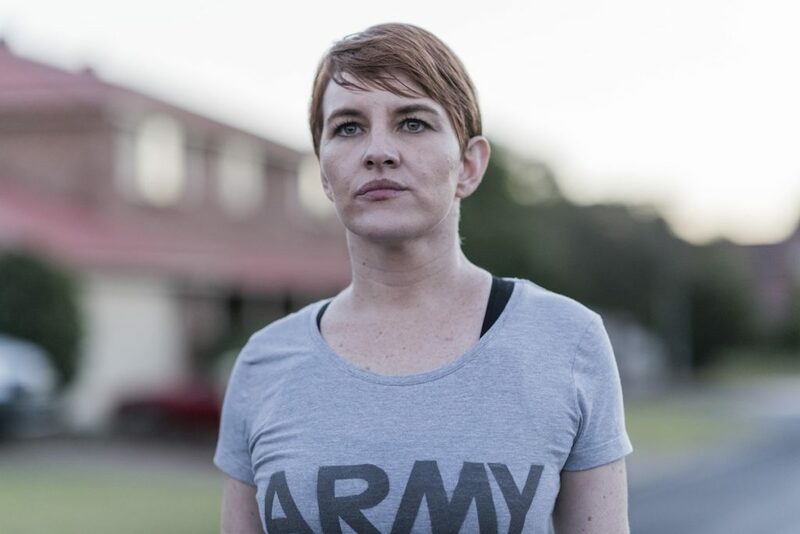 The six-part Foxtel series delves into the upheaval and trauma for soldiers, and their families, after service in Afghanistan. Fighting Season is not just a war drama, it’s a family drama. 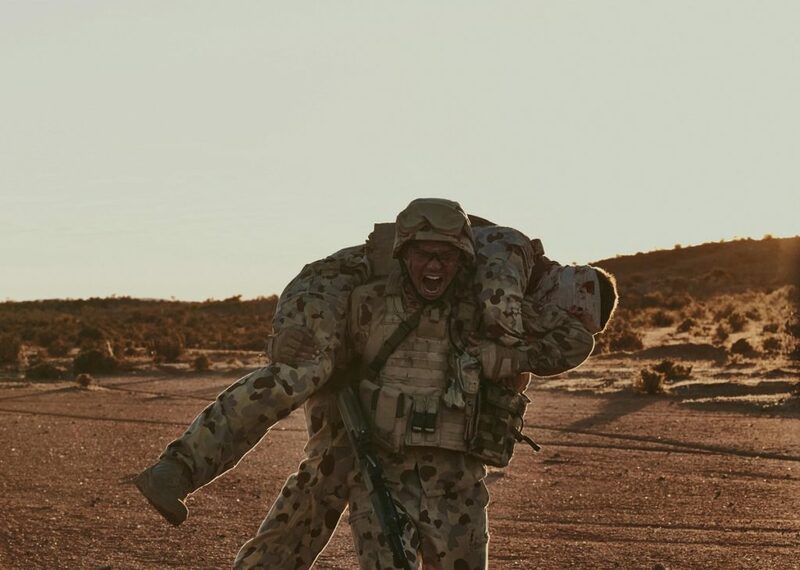 It’s about Australian soldiers returning from Afghanistan in 2010 and takes the horror and losses of Australia’s longest war and drops it right back into suburban family settings and the adjustment and conflict that it brings for everyone. It’s also about post-traumatic stress disorder, the often unspoken toll of overseas duty. And it’s a suspenseful thriller, too, about a cover-up and a search for the truth. 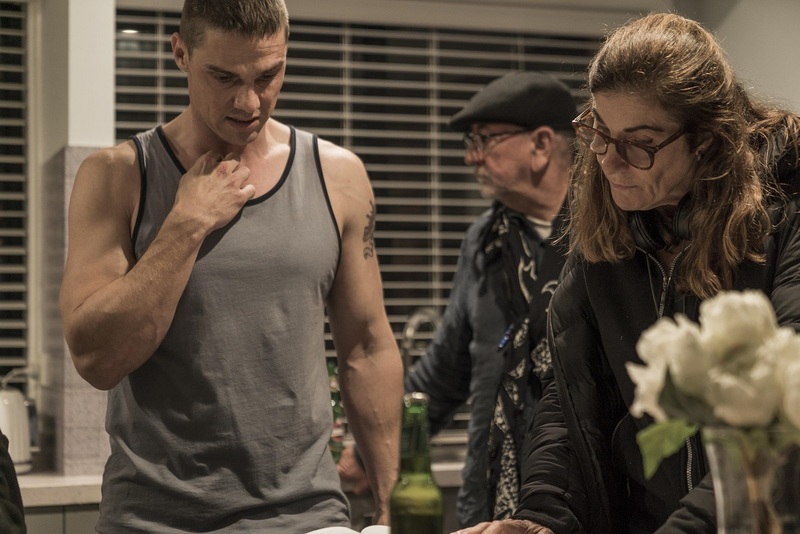 It’s a story that tempted director Kate Woods back to Australia after 10 years in the US, directing TV shows such as Castle, Nashville and Agents of S.H.I.E.L.D. She says the post-war world is often the least told part of the story for many soldiers. From Goalpost Pictures producers Kylie du Fresne and Rosemary Blight (Cleverman, The Sapphires, Holding the Man), and written by Barracuda’s Blake Ayshford, it was filmed over 12 weeks earlier this year in Sydney and Broken Hill. 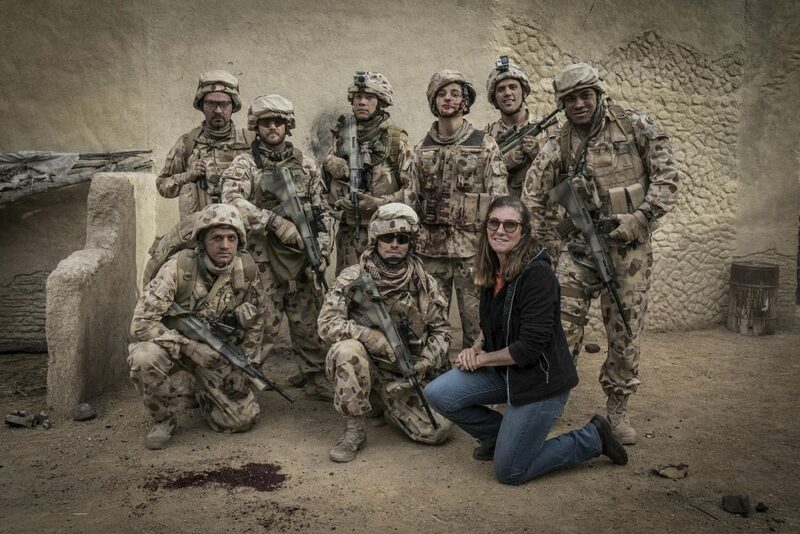 From left: Marco Alosio, Sabryna Walters, George Pullar, Kate Mulvany, Ewen Leslie, Jay Ryan, Sarah Armanious, Julian Maroun and Paul de Gelder. It boasts a stellar ensemble of established and emerging talent. Lead actor Jay Ryan (Top of the Lake) excels as the haunted, tormented Sergeant Sean Collins, back home on leave after the death of fellow soldier, Captain Ted Nordenfelt (Ewen Leslie, also Top of the Lake). Ryan pulls off a truly powerful performance as Collins, an incendiary wrecking ball swinging between his own withdrawn, tormented state and the rage and hallucinations which impact his wife, Vanessa (Sarah Armanious), and their family. She says shame is possibly the crux of the problem in getting people to seek help. “It is a hard thing to admit that because they see it as weakness. They see it as not able to cope. You should be able to deal with this if you haven’t been hurt. You should be able to come home and get on with life,” she says. Another standout is Kate Mulvany as Kim, a grieving widow brimming with shock and anger and the drive to seek the truth. The cast also includes young talents Marco Alosio, George Pullar and Julian Maroun as returned privates also struggling with internal battles. Woods says the most important thing about Fighting Season is its emotional authenticity in portraying the life that the soldiers experienced in Afghanistan, as well as what happened at home. Kate Mulvany is a standout as widowed Army engineer and mother Kim. Next up for Woods is Netflix series Messiah, about a man purporting to be just that, which she is jointly directing with Australian James McTeigue (V for Vendetta) and created by another Aussie Michael Petroni, who adapted The Book Thief. “It’s about what you would imagine how the world would react if someone came back and said, ‘OK, here I am again’,” she says. “There is a very wide range of reactions to that and it’s a very, very smart, clever, intelligent series, quite deep thinking and has a pretty big scope to it. After 30 years as a director, it’s interesting to learn Woods’ perspective as a woman in the industry amid the current landscape. “The MeToo movement has exposed some situations that have been, quite honestly, known about but covered up for a long time. And I think that that is coming out is great,” she says. There is also another Australian project on the horizon for Woods in feature Seriously Red, from the Dollhouse Collective, a production company whose all-female founders include Rose Byrne. It’s written by and stars another member of the collective, Krew Boylan, in a comedy about a wayward, redheaded misfit who finds her voice by becoming a Dolly Parton impersonator. There’s always one thing at the heart of storytelling for Woods, she says. “It’s always about the emotional journey. It’s always about how people relate to each other on the most intimate level. And I don’t mean that in a sexual way, I just mean that how we really, really do connect with each other. What pulls us together. What makes us different. Fighting Season premieres on Fox Showcase on Foxtel Sunday, October 28, at 8.30pm. Sarah Thomas @SarahTtheWriter is an entertainment writer and contributing editor at The FIERCE. Get the latest from The FIERCE in your inbox.